Fingerprinting Express is the fastest service provider for the FBI Express Criminal History Report! 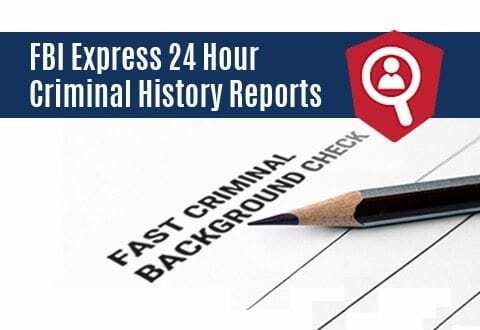 We offer this expedited service for personal FBI background checks that deliver criminal history results within 24 hours. (Normal background-check results for employment or licensing may take two to 12 weeks.) We have had results available within 45 minutes after an applicant was fingerprinted! 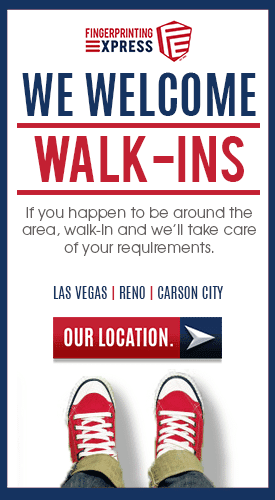 This rush service is available only to U.S. citizens or lawful permanent U.S. residents. This rush FBI Express service is only for personal use. This report is not available for employment and licensing. Personal use reasons for the FBI Express criminal report include, but not limited to: view your own criminal record, for work or student visas, travel outside of the USA and adoption. Obtaining a copy of your FBI Criminal Report is fast, safe and secure when you come into Fingerprinting Express. We have everything you need to get your FBI criminal report fast! 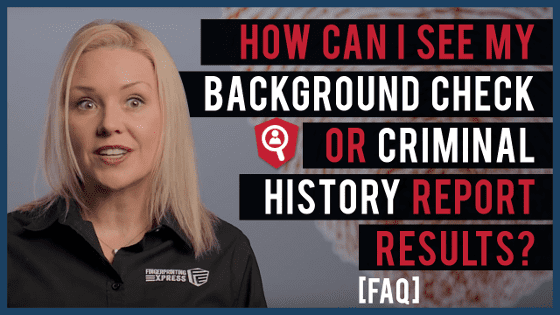 Follow these four easy steps to review your personal criminal history record. If you would like your FBI Criminal Report delivered directly to your attorney, you must include the Attorney Release form, printed on the attorney’s letterhead. Please be aware of the rules and regulations governing how criminal history information may be requested and utilized. Fingerprints are captured and submitted electronically for the fastest possible turnaround time! For faster turnaround time, use USPS Priority Mail or an overnight delivery service when submitting your order. Following FBI guidelines, your FBI Criminal Report will be printed on tamper-proof paper to prevent changes or modifications. One printed copy of your personal criminal history report is included with each order. For a small fee, additional copies can be requested when you place your order. Important Note: FBI security standards require that we purge all FBI Criminal Report information after it has been delivered to the applicant. Because of these guidelines, additional copies of an old report cannot be purchased. However, you can submit new fingerprints at any time. You should be able to log into the designated and secure website within 24 hours to view your report online. Then you will also receive your FBI Criminal Record report within 5-7 business days when using standard shipping – USPS First Class Mail. Delivery time can be shortened to 2-3 business days with USPS Priority Mail, or overnight by using FedEx. Additional fees apply for premium shipping. Orders are normally processed the day they are received; however, an incomplete application or missing information will delay processing. If you have not received your results within 21 days of your request, please contact our office.